Somewhere around the beginning of this year, Google suffered a traumatic brain injury and forgot how to stop spam on Blogger. Probably forgot the product existed entirely, knowing Google. So I've had to disable comments completely. Feel free to reach out to me on Twitter @SaraMG. My first annoyance was with buying the product. While the intro page tells you all about the meter and how much it costs, the pricing on strips was suspiciously absent. After a few minutes of clicking around the site, I finally tried hitting the [BUY] button, and was treated to actual numbers. In fairness, that could have been my first guess, but I'm easily annoyed. After placing my order, I was given a stark white page saying "Your order has been placed." No order number, no tracking info, no estimated delivery date. Just a brief affirmation. Okay, whatevs, it'll come when it comes. And it did come after only a few days, so point for promptness. 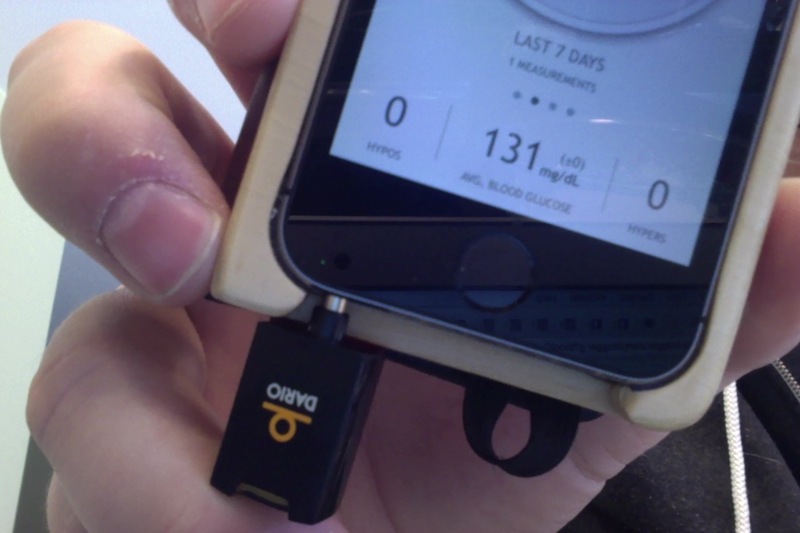 The meter is just what it says on the tin, a compact housing for test strips, lancet device, and the small square dongle used for actually reading a strip and pumping it into one's phone. One small quirk did pop up fairly early. The instructions indicate that the test strip cartridge should "snap" into the casing. It doesn't. In fact, when removing the outer cap, it pulls the cartridge out of the casing, then I have to pry the cap off the cartridge, so I can open the cartidge, and fish out the strip. For a device which hinges on convenience and ease of use, this isn't convenient or easy to use. Hopefully this is just an early model engineering defect and not indicative of the poor quality of the device overall. Unsurprisingly, the app wants you to register/login to their site. That's not unexpected. What surprised me here is that the account I created last week (while buying the device) wasn't usable for the actual app. Maybe that's a good thing, if the store is run by a third-party, principle of least privileges and all. But it's certainly inconvenient from a user standpoint. Now, don't judge me on the hipster wood case, I'm very clumsy and it helps me not break phones. I used to have plastic/vinyl wallet cases, but they fall apart in a matter of weeks, and... look, my point is, just a SLIGHTLY longer neck would have made this a lot more usable. Square knows this problem exists, which is why their 2nd gen readers don't match their 1st gen readers. But it works well enough, the data matches my other meter within tolerance... Wait, no... one more gripe: The app doesn't talk to iOS's health data stream. My current go-to logbook app, MySugr (highly recommend, btw) is able to share data with my phone's OS, which means my apps can work better together. Not a terrible little device, I'll probably keep it in my hoodie-of-many-pockets for those random occasions where I used to use OneTouch minis, but it's not quite ready for me yet.